But this popular snack fare that Americans consume on average over 1.5 billion pounds of each year in the form of peanut butter and peanut products is also what forces a growing number of families from attending and enjoying a visit to an Indianapolis Indians game. According to Food Allergy & Research Education the number of children in the U.S. with peanut allergy more than tripled between 1997 and 2008. In an effort to draw awareness to this medical condition, on April 29, 2015 the Tribe will partner with Indy PoCHA (Parents of Children Having Allergies) for Peanut Allergy Awareness Night. With representatives from Indy PoCHA on site in Victory Field’s PNC Plaza, this inaugural night at the ballpark is intended to help educate fans and draw awareness to Food Allergy Awareness Week 2015 (May 10-16). On this night when the Indianapolis Indians host the Louisville Bats at 7:05 p.m., Victory Field will suspend for one night the sale of all products with ties to peanuts – peanuts, CRACKER JACK®, peanut M&Ms, and peanut-related ice cream toppings – and will make every reasonable effort to thoroughly clean the stadium, but cannot guarantee complete absence of peanut particles or residue. Peanut products will also be disallowed in The Lawn area on April 29. Peanut Allergy Awareness Night does not mean the ballpark will be completely peanut-free. Fans with peanut allergies should exercise their normal precautions. Peanuts are not nuts. They are legumes – a type of plant with seeds that grow inside pods such as peas or beans. Peanuts grow underground, not on trees like nuts (almonds, cashews, walnuts, etc.). Peanut seeds flower above ground and then migrate underground to reach maturity. It takes an average of 540 peanuts to make one 12-ounce jar of peanut butter. 30,000 peanut butter sandwiches can be made from one acre of grown peanuts. More than 3 million Americans report having an allergy to peanuts, tree nuts or both. That’s roughly 3x the population of Indianapolis. 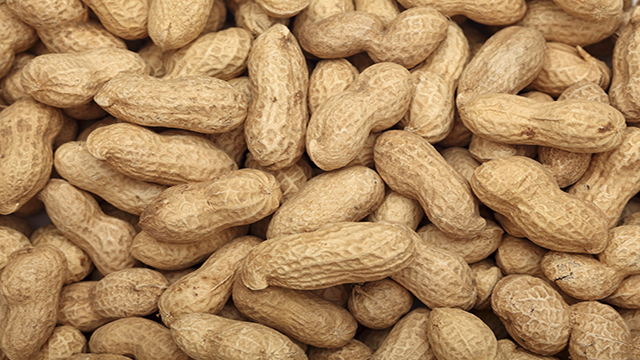 Click here to view a peanut allergy fact sheet. This article originally appeared on the official website of the Indianapolis Indians. Click here to view the original story. 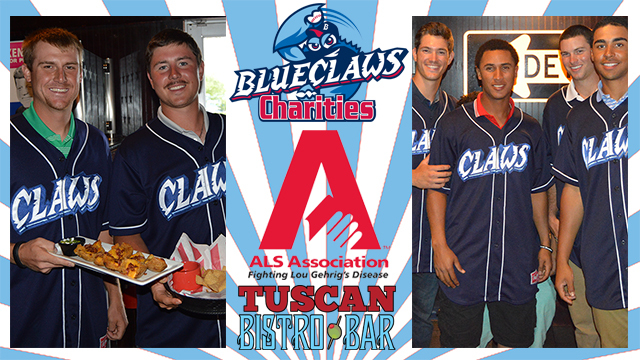 LAKEWOOD, NJ – The BlueClaws are pleased to hold their 15th annual ALS Celebrity Waiter Event on Wednesday, May 27th from 6 pm – 8 pm. The event will be held for the first time at Tuscan House in Toms River, and once again all proceeds from the event will benefit the ALS Association of Greater Philadelphia, the principal charity of the Phillies. The ALS Celebrity Waiter Event features all BlueClaws players serving as the waiters and BlueClaws coaches serving as the bartenders. The players will pose for pictures and sign autographs throughout the night while helping to raise money for a great cause. 20% of all bills and 100% of all tips will be donated directly to the ALS Association of Greater Philadelphia. This event has raised over $125,000 for the ALS Association in its first 14 years of existence. Reservations can be made by directly calling Tuscan House at 732-797-2570. There will also be a 50/50 and a silent auction, with merchandise from both the BlueClaws and Phillies available, again with all proceeds going directly to the ALS Assocaition of Greater Philadelphia. BlueClaws Charities is the official non-profit organization of the Lakewood BlueClaws and supports over 40 Community Partner organizations and hundreds of non-profit organizations and fundraising events each year. April 27, 2015-Each Arkansas Blood Institute (ABI) donor May 1 through 15, will score two premium tickets to a Northwest Arkansas Naturals baseball game. Anyone 16 years and older* is urged to come to the ABI donor center at 5300 S. U St., Fort Smith, or find an area blood drive listed on arkbi.org. Vouchers for Monday through Thursday evening games in May will be awarded to donors. Each can be redeemed at the Arvest Ballpark box office for two seats behind the dugout. “Being an active community partner is extremely important to our organization, and this furthers that initiative for us,” said Naturals General Manager Justin Cole. A ‘hero’ T-shirt also awaits each donor. If preferred, a donor can forgo the T-shirt to support Global Blood Fund (GBF). For each donor who chooses this option, a contribution to GBF will be made by Arkansas Blood Institute. GBF is a nonprofit that provides blood center technology and supplies to struggling blood centers around the world, so they can meet local needs through voluntary blood donation. Donors with Arkansas Blood Institute exclusively provide blood needed by all patients in River Valley hospitals and some 15 other medical facilities in the region. Appointments to donate are not required but can be made at 877-340-8777 or arkbi.org. LAWRENCEVILLE, GA – The Gwinnett Braves have announced the recipient of their $1,000 grant for the month of March. Kidsplosion Nation Corp. has been awarded the “Salute to the Arts” themed grant, aimed at funding an organization that supports art programs or education. Kidsplosion Nation enables youth to “Discover, Develop, and Display” their gifts and talents at camps throughout economically challenged areas of Gwinnett County. The organization provides afterschool and summer programs that include courses in dance, karate, comedy, music, art, cooking, acting and more. About Kidsplosion Nation Corp.: Kidsplosion Nation is a 501(c)(3) charitable organization started in 2010 by Carlena Evans. The organization offers camps and afterschool programs for economically disadvantaged children in Gwinnett County areas with the highest need for affordable youth programming. Those programs enable youth to “Discover, Develop, and Display” their gifts. Kidsplosion also provides free breakfast, lunch and snacks for its campers. Kidsplosion partnered with Gwinnett County Parks and Recreation in 2013 and expanded into Gwinnett County Schools in 2014 with a desire to reach all children. For more information, visit www.kidsplosion.com. The Lynchburg Hillcats and Virginia529 College Savings Plan have teamed up to reward high academic achieving students in the local area. 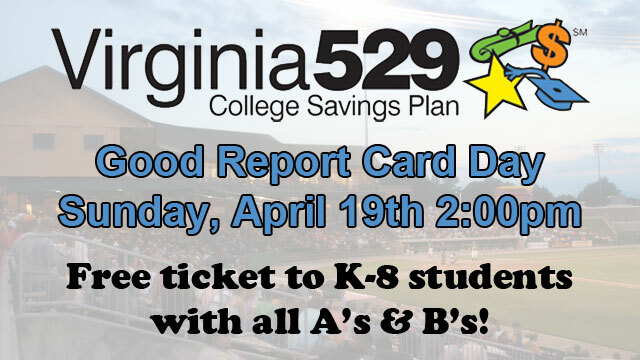 All K-8 students with a report card with all A’s and B’s or better, can come to the Lynchburg Hillcats Box Office to earn two free GA tickets for the game on Sunday, April 19 at 2:00pm. Simply fill out this form and bring it along with your report card to the Hillcats Box Office prior to the event anytime Monday-Friday 9am-5pm, or the day of the game to earn your free ticket. Good Report Card students may also participate in a parade on the field before the game! To participate, register at the Virginia529 table on the concourse between 1-1:30pm. The parade will begin at 1:35pm. Plus, all students who turn in the form will be entered into a drawing for a “Hillcat for a Day” Prize Pack! Virginia529 College Savings Plan is the Official College Savings Plan of the Lynchburg Hillcats. Virginia529 offers four flexible, affordable and tax advantaged programs to help you save in advance for higher education. Visit www.Virginia529.com to learn how you can get started with as little as $25. 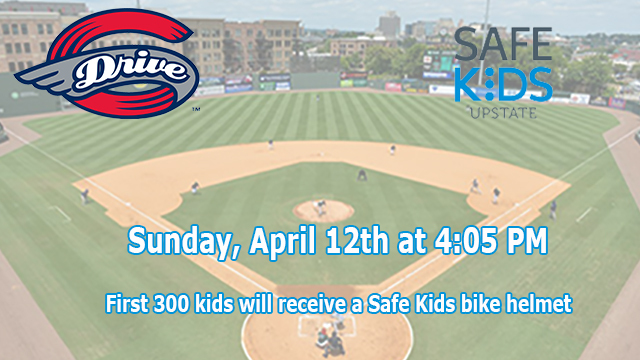 The Drive will host Safe Kids Upstate Day at Fluor Field on Sunday, April 12th vs. the Augusta GreenJackets. Sunday’s game begins at 4:05 PM, and gates will open at 3:00 PM. The first 300 kids through the Main Street gate on Sunday will be fitted for bicycle helmets from Safe Kids Upstate. A pregame parade for Upstate safety patrols will begin at 3:30 PM, and during the game, Drive players/coaches will be wearing special Safe Kids jerseys that will be available for fans in a silent auction. To purchase tickets to Safe Kids Upstate Day, stop by the Main Street Box Office, call (864) 240-4528 or click here. 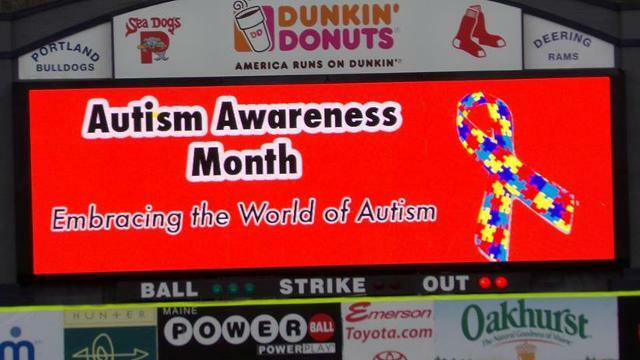 The Portland Sea Dogs in partnership with Embracing the World of Autism will host Autism Awareness Day at Hadlock Field on Saturday, April 11th when the Sea Dogs take on the Reading Fightin Phils at 1:00 PM. The event will be held with the support of University of New England Occupational Therapy graduate students. The UNE students will create and facilitate activities for children and families in a special “Sensory Room” that will allow children with autism to self-regulate using movement, calming sensory input and fidget items. This allows children to fully participate in the Sea Dogs game. In addition to the “Sensory Room,” the students will also make sensory kits that include tactile items, chewy food, and fidget items to help people with autism self-modulate their nervous system during the game. Donald Frost, 13, a child with Asperger’s syndrome, will be singing the National Anthem prior to the start of the game. Representatives will also throw out the ceremonial first-pitch and serve as a junior public address announcer. Discounted tickets are available for autistic children and their families. Tickets can be purchased online at www.seadogs.com using the special offer code “Autism”. For more information Lindsey Oliver at (207) 874-9300. Fans attending the April 11th game are asked to wear the color orange to show support for Autism Acceptance. The Kannapolis Intimidators have teamed up with the Jeff Gordon Children’s Foundation for the 2015 season to raise money at all 12 Friday home games at CMC-NorthEast Stadium. The Intimidators will be selling JGCF wristbands at the ballpark for $5, and each wristband comes with a voucher for a free Pepsi product at the concessions stand ($3 value). The mission of the Jeff Gordon Children’s Foundation is to support children battling cancer by funding programs that improve patients’ quality of life, treatment progra ms that increase survivorship and pediatric medical research dedicated to finding a cure. 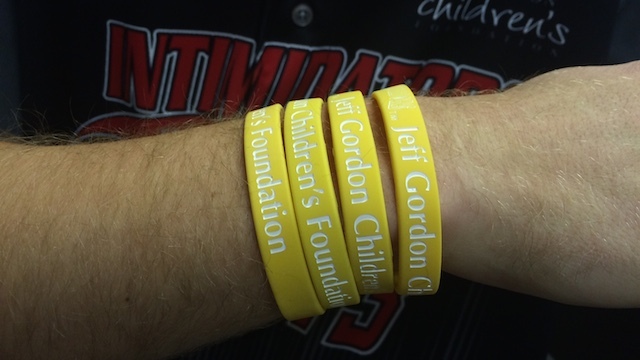 In addition, the Foundation provides support to the Jeff Gordon’s Children’s Hospital in Concord, NC, which serves children in the community by providing a high level of primary and specialty care, regardless of their ability to pay. This article originally appeared on the official website of the Kannapolis Intimidators. Click here to view the original story. Gates Open Early at 5:30 p.m. 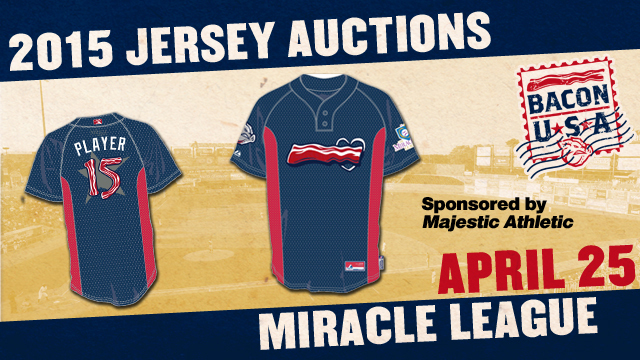 The Lehigh Valley IronPigs will play host to a Miracle League exhibition game and also wear commemorative Miracle League inspired jerseys provided by Majestic Athletic during their game against the Buffalo Bisons on Saturday, April 25 at Coca-Cola Park. The game-worn jerseys will be auctioned off with all proceeds benefiting the Miracle League of the Lehigh Valley and the Miracle League of Northampton County. The Miracle League exhibition game between the Lehigh Valley team and the Northampton squad will take place from 5 p.m. to 5:45 p.m. In order to allow fans to watch the one-inning contest, all Coca-Cola Park gates will also open promptly at 5 p.m. Dozens of children will take part in the 8th annual Miracle League game at Coca-Cola Park. During the game, each child will have the opportunity to bat and play in the field and the IronPigs players will serve as “angels” and assist the players in all areas of the game. The Miracle League is dedicated to providing children with special needs and other development disabilities an opportunity to play baseball. Presently there are 250 Miracle League organizations worldwide that provide opportunities to over 200,000 children and young adults with disabilities. For more information on how you can make a difference and support the local Miracle League chapters, please visit miracleleaguelv.org and miracleleagueofnc.org. IronPigs fans can bid on their favorite player’s jerseys from anywhere with the easy-to-use Qtego service that allows fans to place bids, receive notifications when outbid and check the status of their item via text messages on their mobile phones. Fans without texting access can even call in their bid after registering their phone at Coca-Cola Park. Register your phone from anywhere in the U.S. by texting “Pigs” to 79230. The bidding begins on April 24 and ends promptly at the end of 7th inning of the April 25 game. Detailed instructions on how to place your bid will be made available at ironpigsbaseball.com. Winning bidders will have the opportunity to go on the field immediately following the game to have their jersey autographed. Bidders not in attendance at Coca-Cola Park can either pick up their signed jersey at a later date or have it mailed directly to them. The Myrtle Beach Pelicans, the Class A-Advanced affiliate of the Chicago Cubs, in partnership with Axelrod & Associates, P.A., are glad to announce an exciting promotion around Pelicans home runs, benefiting the South Carolina Make-A-Wish Foundation during the 2015 season at TicketReturn.Com Field at Pelicans Ballpark. For every home run hit by a Pelicans player during any 2015 home game, Axelrod & Associates will donate $100 to the South Carolina Make-A-Wish Foundation. Also new to the ballpark this season will be a billboard in right-centerfield, which includes a caricature of Mr. Stuart M. Axelrod, donning a Chicago Cubs cap, extending his glove through the outfield wall, where his glove is ready to make a catch. 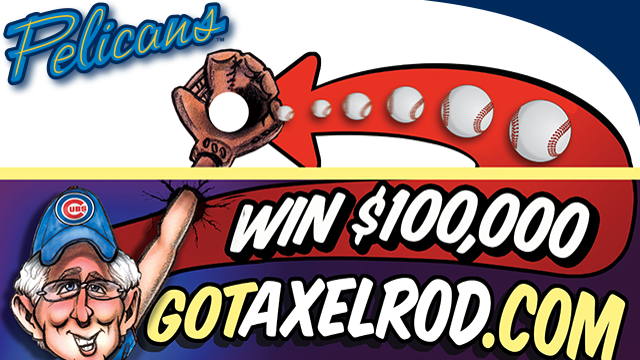 If a home run ball by a Pelicans player goes through the cutout hole in the glove and into the accompanying net behind it, one lucky fan in attendance will be chosen at random to win $100,000. Fans must be present at TicketReturn.Com Field at Pelicans Ballpark to win. The winner will be selected based on the tickets scanned at the gates prior to the first pitch. 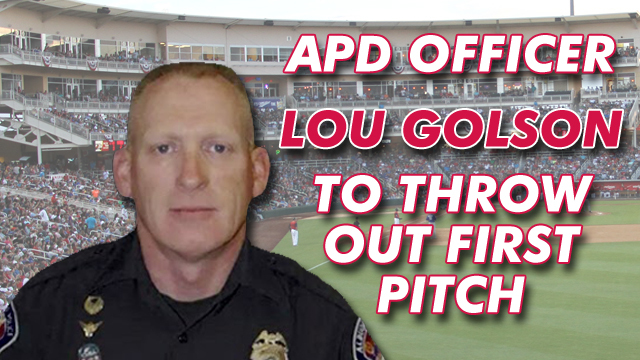 Albuquerque Police Officer Lou Golson is scheduled to throw out the first pitch for the Albuquerque Isotopes on Opening Night, April 9, when the Isotopes host the Reno Aces at 6:35 p.m. Officer Golson was shot four times on January 3 when he initiated a traffic stop for a suspected DWI. Upon Golson approaching the vehicle, the driver flung open his door and fired five shots at Golson, striking him four times. He was shot in the leg, breaking his left femur, while another bullet penetrated his bulletproof vest. He also broke his wrist when he fell to the pavement. Golson returned fire as the suspect fled the scene and maintained his composure to call for help on his radio. Golson was able to accurately identify the suspect, and the suspect was apprehended a few days later. A 31-year veteran of the Albuquerque Police Department, Golson also served in the Armed Forces in many different capacities. He’s worked a variety of beats at APD, including traffic and SWAT, but recently volunteered to return to DWI Patrol. He was also honored by MADD as a hero awardee on November 8. Mayor Richard J. Berry, Colorado Rockies Senior Director of Player Development Zach Wilson and Isotopes President Ken Young are also scheduled to be on hand for the Opening Night festivities. This article originally appeared on the official website of the Albuquerque Isotopes. Click here to view the original story. The Charleston RiverDogs’ “Fun Is Good” philosophy seeks to make each and every fan’s experience a special one at The Joe. Judging by the Lowcountry’s response, the initiative continues to be very successful. 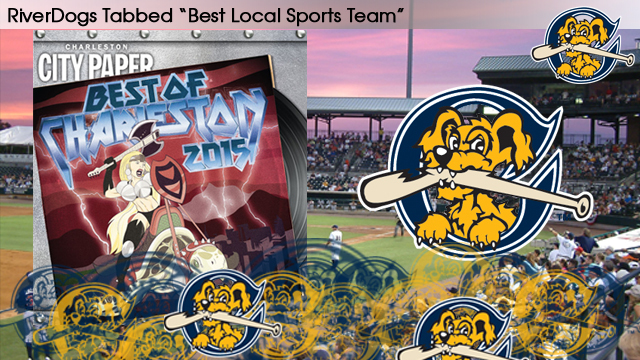 Known for wholesome family entertainment, RiverDogs games are a fun experience for people of all ages. This past year was especially special for the club as they donned new seersucker uniforms for Sunday games, brought back Disco Demolition on its 35th anniversary, gave away Bill Veeck “bobble-legs” and staged Rainbows Night while entertaining scores of fans on a consistent basis. Whether it is the game between the foul lines, the tasty food and beverage options at The Joe, the unique merchandise available in the souvenir store, the Kids Zone or the always entertaining between-innings promotions, RiverDogs baseball has become synonymous for a great night out with family and friends in Charleston.